During the Congregation, the new central government of the Society was established. 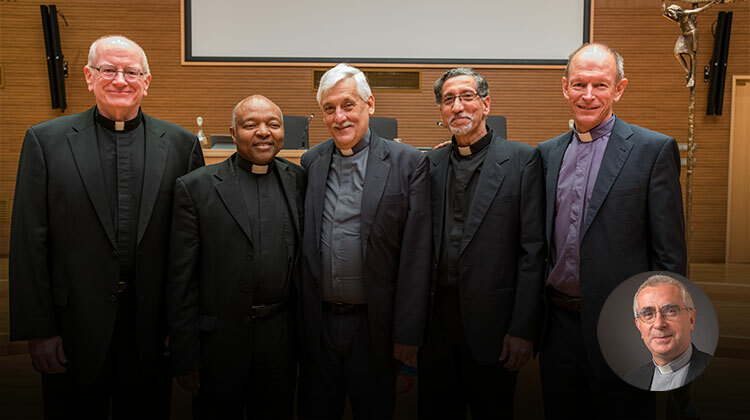 On October 31, Father General Arturo Sosa announced the appointment of 10 Regional Assistants and the General Counsellor for Formation. Father General also announced the creation of the new office of General Counsellor for Discernment and Apostolic Planning. On November 4, members of General Congregation 36 elected four Assistants ad Providentiam and Father General’s Admonitor. On the same day, Father General also announced that he had appointed Father Antoine Kerhuel as Secretary of the Society.